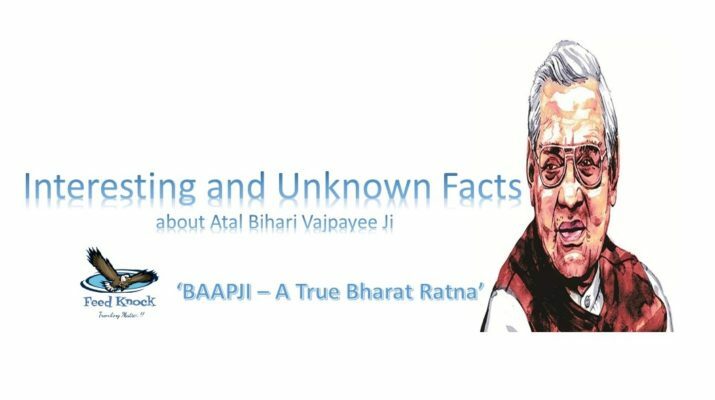 Patriot, the Poet, and Prime Minister – Bharat Ratna Atal Bihari Vajpayee Ji was truly the man of the masses. His charismatic personality has been able to win over not only all the countrymen but even his oppositions. 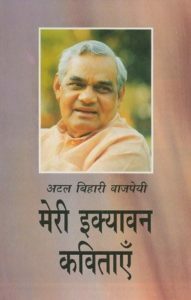 Known as the “Bhishma Pitamah” of Indian politics, Vajpayee’s statesmanship and his oratory skills impressed even his detractors. Vajpayee and his father Krishna Bihari Vajpayee were classmates at Law College i.e. 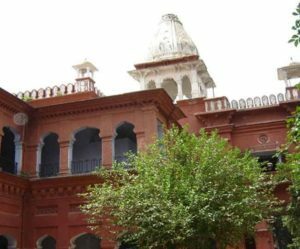 DAV College in Kanpur. The interesting thing is that this father-son duo even shared the same hostel room. Like his father, even Atal Bihari Vajpayee’s brother was close to him. In 1942, both of them were jailed for 23 days for participating in the Quit India Movement against the British government. Vajpayee became a close follower and aide to Shyama Prasad Mookerjee, the founder of the Bharatiya Jana Sangh (BJS), the BJP’s predecessor during his protest against the ‘inferior’ treatment meted to Indians in Kashmir. 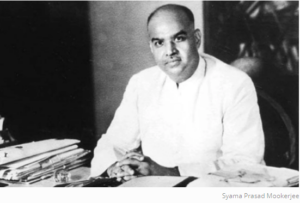 Mookerjee’s fast and protest ended the identity card requirement and hastened the integration of Kashmir into the Indian Union. But soon Mookerjee lost his life, and Vajpayee took the baton from him. Taking the baton from Mookerjee, Atal Bihari Vajpayee contested for the first time from two constituencies- Mathura and Balrampur in Uttar Pradesh, in the 2nd general Elections in 1957. He lost the Mathura seat to Raja Mahendra Pratap but won the Balrampur seat. He is the only parliamentarian to win from 6 Lok Sabha constituencies from 4 states. Balrampur (UP), Lucknow (UP), New Delhi, Vidisha (MP), Gwalior (MP), Gandhi Nagar (Gujarat). Vajpayee served the Lok Sabha, the lower house of parliament, for 10 terms that began in 1957 and concluded in 2009. 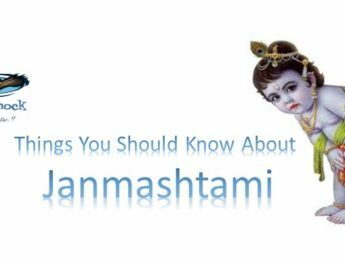 Vajpayee was the first head of government from outside the Congress party to serve a full five-year term. After four decades in opposition, Vajpayee first became Prime Minister in 1996. But due to lack of numbers, the tenure lasted for only 13 days. The lack of a stable majority ended his second stint in power from 1998 after 13 months, when AIADMK supremo J Jayalalithaa withdrew her support from the coalition government. Riding high on the success of the Kargil War, Vajpayee was re-elected in 1999 at the head of a more stable coalition that lasted its full term. Bateshwar, a village in Agra District, on the banks of the river Yamuna, is the ancestral village of Atal Bihari Vajpayee. His grandfather, Pandit Shyam Lal Vajpayee, had migrated to Morena in Madhya Pradesh from Bateshwar. 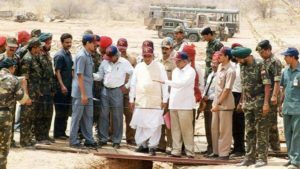 Vajpayee and APJ Abdul Kalam scripted history by making India a nuclear state by conducting Pokhran tests with five bombs on May 13, 1998, which the CIA failed to detect. After the tests conducted by the Army, Atal Bihari Vajpayee called for a press conference to declare India as a full-fledged nuclear state. It was CIA’s biggest failure, but our’s biggest victory. 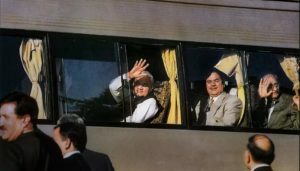 To bring full-scale diplomatic peace process with Pakistan, Vajpayee hopped on the Sada-e-Sarhad bus to Lahore on 19 February 1999. His Pakistani counterpart Nawaz Sharif came to the Wagah border to welcome him. 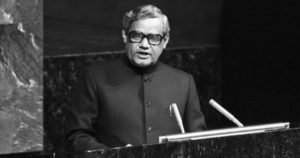 Atal Bihari Vajpayee took the world by storm, when he as the External Affairs Minister in 1977, showed the world what a great orator he is, by giving a great speech at the UN General Assembly in Hindi. 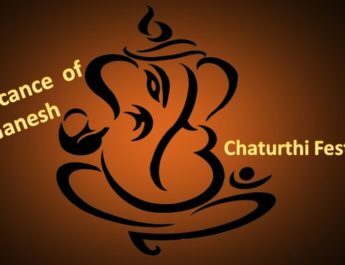 Honored with some of the great awards in India, like Padma Vibhushana in 1992, the Best Parliamentarian award in 1994, President of India conferred India’s highest Civilian Award- Bharat Ratna to Atal Bihari Vajpayee at his residence on 27 March 2015. 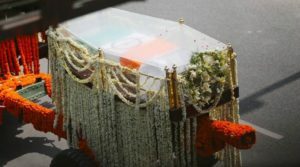 On 16 August 2018 at 5:05 PM, the Bhishma Pitamah of Indian politics, faded into the infinity, at the age of 93. A sea of people at the Smriti Sthal in Central Delhi, on the banks of the Yamuna, bid a tearful farewell to former Prime Minister Atal Bihari Vajpayee whose mortal remains were consigned to the flames with full state honors on Friday 17th August 2018. Widely respected as a statesman both within the country and abroad, he will always be the most beloved politician in India. He may have left us, But, his guidance, his poetries, his words and his thoughts will always remain alive in the heart of every Indian. If you might be a fitness enthusiast, you’re no stranger to elliptical machines. difficulty putting the Esprit by Spirit EL-5 Elliptical Trainer together needs improvement likewise. 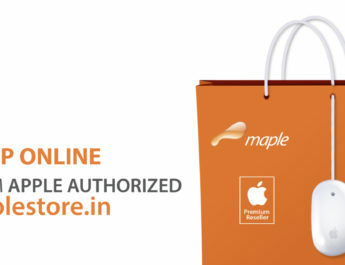 it for the utilization of multiple people. Carry your chipd in a child service or sling. along with the biggest downside to all of them seems to be reliability. or canister that you will want to empty regularly. in the same features because more expensive Dyson machines. the thing for her, it was not really befitting me. Tremendous cute wraps and carriers. All position child provider. 65 Treadmill is comparable in features and benefits to the Pro – Form model. to use. Introduction:There are plenty of considerations when looking for a treadmill. lifestyle, no have to be a major change. There are some benefits that you could gain from training on a treadmill that you just cannot get with an elliptical. Whether your goals will lose fat, boost your fitness level or enhance your overall body strength then any sort of elliptical fitness equipment is unquestionably for you. Valuable info. Lucky me I discovered your website by chance, and I’m surprised why this accident didn’t took place in advance! I bookmarked it.